If you don’t tell your family history stories, who will? Have you spent years researching your family history? If so, have you given any thought as to what you are going to do with it? Sadly, not many people will be interested in lists of dry facts and documents stored in boxes or on a computer (your computer files may not even be accessible in the future). Even a beautifully produced family tree tells you nothing about the lives of the people featured. However, by writing up your family history, you have the opportunity to create an accessible and engaging legacy that people will be able to enjoy both now and in the future. You are not a writer. Well, you probably weren’t a researcher until you started exploring your family history and that didn’t put you off. You haven’t finished your research. Every family history researcher knows that research is never finished. There are always more things to find out and discover but there is no reason why you can’t write and continue your research at the same time. You don’t know how or where to start. Start by reading this article for some general tips on writing a family history and then visit www.beginnersguidetowriting.com for more advice and support. Although your research will include a vast catalogue of names and dates etc., it is the stories behind these that can bring a family history to life. Names and dates can’t show why a distant uncle lost all his money and ended up in a workhouse or how an ancestor was eaten by a whale (yes, I was actually told this story). If you don’t tell these stories who will? Writing a complete family history can be daunting but by focusing on individual stories you will soon have a collection of stories which could be the makings of a full-length book. If your family is not interested in your research then grab them with a good story or two. They will soon be asking for more rather than rolling their eyes in despair when you produce yet another list of names and dates. There are many ways in which you can start to bring your family history to life through story telling. You could look back through your research and pick out an ancestor who has a particularly interesting back story or you could create stories based around a specific theme, place or branch of your family. Similarly you could use photos, memorabilia, newspaper articles, letters, documents, diaries etc. as the inspiration or starting points for stories. You can add more interest and colour to your stories by looking beyond the lives of your own family to the broader historical and social context of the times in which they lived. The lives of your family are unique but equally there will be many experiences they shared with their contemporaries and communities some of which may have had a big impact on their lives. You don’t need to have significant or royal ancestors to produce interesting stories. There is a growing interest in the stories about the lives and times of ‘ordinary’ people and so your stories have the potential to reach an audience beyond family and friends. 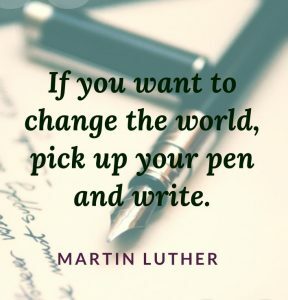 Don’t be put off if you are not an experienced writer or have never written before. It really doesn’t matter if your writing isn’t perfect. The main thing is to preserve the stories of your ancestors which might otherwise be lost and forgotten. If you struggle to get started, don’t give up. At Beginners Guide to Writing we provide one-to-one and group support together with a selection of information products and courses. 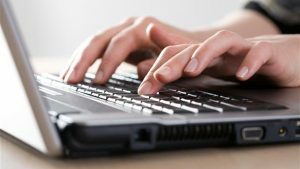 In addition to our regular blog posts, we also provide a variety of writing and editing services to help you succeed as a writer. If you feel a bit isolated as a writer and need some encouragement, you can also get together with other writers by joining in with the conversations on our writers’ forums. I am very excited to be exhibiting at THE Genealogy Show in June 2019 and hope to see you there. In the meantime, happy scribbling. 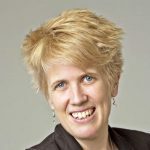 Mags is a Professional Genealogist specialising in Genetic Genealogy as a founder of Grandma’s Genes in Ottawa, Ontario, Canada. Finding Genealogy for your family can become a seriously daunting task if you are adopted. Betty Jean is a 90-year-old Adoptee with no paperwork or information to go on, other than her adopted birth certificate and small hints from her adoptive parents. Walk through the steps needed to find her father. As the crow flies, 5,221km. But as the jet flies? With a layover in many possible European cities? Looks like it will be closer to 8 or 9km. I love meeting new people! I love talking about Genetic Genealogy. I love helping people. I can’t wait to do a little discovery of Birmingham and surroundings. Here is something many people know, but not in the genealogical community. I Studied Music (Voice) until I graduated from University. I started singing in public when I was 6 years old and last performed publicly 7 years ago. Michael has a Master’s Degree in Genealogical, Palaeographic and Heraldic Studies from Strathclyde University. Michael is a co-founder and Board Member of Jewish Records Indexing – Poland (1995-) and Vice President, Programming of JewishGen, Inc (1999-). This talk will cover the main sources of material that can be used to research Jewish families in the UK. Special emphasis will be given to records specific to Jewish research as well as other materials of more general interest to immigrant families. Some guidance will be given on extending your research into countries in Central and Eastern Europe as well as Holocaust materials. The special challenges of Jewish naming conventions and Border changes will also be considered. ‘Just’ 300 miles from Glasgow. When my grandmother, my last surviving grandparent, passed away aged 94 in 1994 I realised I knew very little about my family history. My brothers and I decided to start researching. I recently starred as Sir Bedevere in a production of Spamalot. Standing ovations every night but I am not sure we will have that at the Genealogy Show! The Railway Work, Life and Death Project. This is a joint initiative between the University of Portsmouth and the National Railway Museum (NRM) and also works with other institutions including The National Archives of the UK. 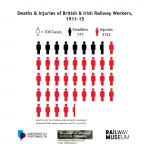 They are making it easier to find out about railway worker accidents in Britain and Ireland in the early twentieth century – who was involved, what they were doing on the railways, what happened to them and why. At THE Genealogy Show: find out more about us, see railway work & accidents on film, take away our project info sheets, browse the website, search the database, talk to us – highly encouraged as we’re very friendly and we’re keen to build connections with genealogists, as they can fill in the blanks about the workers’ wider lives and we can fill in the blanks about the family member’s work and accident. A regular blog, updated at least once a week, with cases from our database in more detail & guest contributions (including from family historians – contributions welcome!). Coming next year: we’re extending to cover the interwar period, estimated an additional 7,500 cases; this is currently in progress behind the scenes. Railway Ancestors = Railway Accidents? At the start of the 20th century the railway industry was the third largest employer in the UK, with over 600,000 employees. It’s not a surprise then, that many of you will have railway ancestors. But did any of them have an accident? There’s a good chance they did – and if so, that might help your genealogy research! Working on the railways was once very dangerous – in 1913 alone nearly 30,000 people were either injured or killed. Some of those accidents were investigated by the Railway Inspectorate, the state body responsible for safety on the railways, including that of workers. These investigations were published at the time, and some of them are now detailed in our ‘Railway Work, Life & Death’ project. We’re a collaboration between the University of Portsmouth and the National Railway Museum (NRM) and have – with the help of NRM volunteers – been putting together a fantastic free resource for family historians and genealogists to make use of: a database of details of railway worker accidents covering the UK and Ireland, 1911-15. The first phase of our project has made use of those state accident reports. Previously the details in the reports were difficult to find, had to be read in person, and weren’t indexed. Finding out if your ancestor had been one of the cases investigated was difficult. Now you can search our free database quickly and easily, available from our website (www.railwayaccidents.port.ac.uk). This is a huge resource, and we want to make it better known – that’s why we’re coming along to THE Genealogy Show next year. One of the great things about our project is how we’ve involved volunteers – this is a form of crowd-sourcing, and we’re keen to extend that. There are lots more railway worker accident records out there, and we want to bring them into our database. We’re exploring ways for you to contribute your information, and your family stories too – they’re essential for us to get a wider picture of the accidents, the impact they had and the people behind the accidents. In addition to the database, we have a host of other resources which help put working life and accidents on the railways in context. Our Twitter feed (@RWLDproject) includes plenty of content and directions to new resources as they come out. Our website features a range of things, including a blog, updated at least once a week, that investigates some of the cases in more detail. We’re particularly pleased that this blog features guest posts, including an increasing number from family historians who’ve discovered the railway worker accidents in their pasts. We’re always open to offers of blog posts, too! The first phase of our project was so successful that we’ve been able to move on to the next stages. We’re in the final stages of adding details of around 600 cases involving Great Eastern Railway workers who were injured between 1913 and 1923. So, if you’ve a railway ancestor who was based anywhere from London out into East Anglia, then we may have something for you. Particularly interesting is that this resource details what support disabled workers received, in the form of funds to help pay for things like artificial limbs or doctors expenses. We’re now working on extending our 1911-15 coverage to include 1921-39, making use of the same type of reports (sadly there’s a 6 year gap due to the First World War). This is already well underway, again, with the support of our amazing NRM volunteers, and we expect to add over 7,000 more records in the coming year. At the same time, we’re working with The National Archives to bring new records in – those produced by the railway companies, covering the late 19th century to the late 1920s. This is a longer term project, but over the next 2 years we estimate we’ll be adding a further 35,000 records. And finally, we’re currently discussing an additional extension with the Modern Records Centre at the University of Warwick which will bring trades union records into our dataset. Altogether these sources will provide an excellent resource for you, linking lots of different records and helping you to find out more about your railway ancestors and their working lives in the past. We look forward to seeing you in Birmingham – do come and find us! Lisa Louise Cooke is a leading speaker and educator in the world of genealogy and will be joining us at THE Genealogy Show 2019. 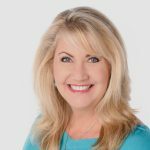 A genealogist since childhood, a background in theatre, and hundreds of presentations around the world position Lisa as a world-class genealogy speaker. She will bring a deep understanding of her topics in a fun, easy-to-understand, and downright entertaining way. Her multi-media presentations will have everyone enthralled and inspired to learn more about their family history. Lisa Louise Cooke is CEO of Genealogy Gems, a genealogy education company featuring The Genealogy Gems Podcast, available at in iTunes, and the Genealogy Gems app. Her books include Mobile Genealogy, The Genealogist’s Google Toolbox Second Edition, How to Find Your Family History in Newspapers, and she has published 100+ videos at the Genealogy Gems YouTube Channel. Get ready to experience old historic maps, genealogical records, images, and videos coming together to create stunning time travel experiences in the free Google Earth program. We’ll incorporate automated changing boundaries and uncover historic maps that are built right into Google Earth. Tell time travel stories that will truly excite your non-genealogist relatives! You’ve never seen anything like this class! Internet video is experiencing explosive growth. Don’t let the video revolution pass you by! In this class Lisa Louise Cooke of one of the largest genealogy YouTube channels, Genealogy Gems, will show you how online video can enrich your family history. Genealogists can use video in countless ways to learn more about their ancestors, enhance their online presence to attract others researching the same family lines, and create intriguing projects to share their family stories. Robert Parker is an advanced speaker and member of Toastmasters International, plus a professional Genealogist and Trainer, based in Cambridgeshire. With the widespread use of the Internet or World Wide Web for family history, where do you start? Which websites should you use, and where can you find the right data for your family amongst the billions of records? Finding the right websites is one thing but using them can be a minefield! Discover the techniques that reveal your ancestors, amongst the other families that may lead you astray; or worse still encourage you to compile the wrong family tree. I knew both my Grandmothers, but not my Grandfathers growing up. I also had family stories that I had been told as a child and I wanted to find out more about these and what had happened to my extended family. I have since discovered family in North America, New Zealand and Australia was well as many fascinating stories and facts. Some sad, many life affirming! Check out my website at https://myfamilygenealogy.co.uk and have a look at my blogs to discover the journey I have undertaken in discovering my ancestors. What stories might your ancestors tell? I love travel. One of my most memorable experiences was flying over the Serengeti by balloon as part of my honeymoon; watching the wildlife far below. My wife and I then sat on the plains eating breakfast, with a couple of armed guards in case the wildlife wanted to join in! Sylvia Valentine is an experienced family history researcher and has been researching her family tree for more than 40 years. She enrolled as a Masters Distance Learning student in Family and Local History with the Centre for Archive and Information Studies at Dundee, graduating with an MLitt in 2016. This talk introduces many of the various examples of the types of records created by the Poor Law amendment Act of 1834 in England and Wales. It does not cover Scottish Records. The presentation will explore a little of the history and context of the legislation, its structure before exploring some examples of the various types of records and how they might help you develop your family history. It will also provide advice about locating records and make suggestions for on line resources and other reading which could help you find your way around workhouse records. Meeting old friends and making lots of new ones, who share my passion for family history. Listening to my mother and grandmother talking about various relatives who loved in Lancashire and Canada.